Hillary Clinton’s popular vote lead increases to almost 1.7 million. Hillary Clinton, accompanied by her husband, former President Bill Clinton, pauses as she concedes the presidential election on Nov. 9 in New York City. Hillary Clinton’s lead in the popular vote over President-elect Donald Trump keeps growing and currently stands at 1.677 million votes. 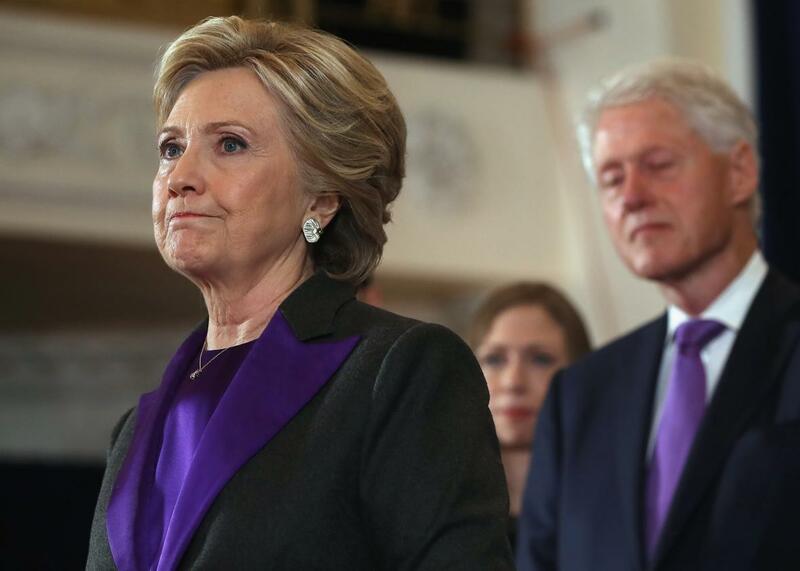 On Election Day, Clinton received 63,541,056 votes compared with Trump’s 61,864,015 while other candidates received 7,034,595 votes, according to the latest numbers published by the Cook Political Report. So far the numbers show Clinton obtained 48 percent of the popular vote, compared with Trump’s 46.7 percent. The numbers mean that Clinton’s lead in the popular vote is, so far at least, much greater than Al Gore’s advantage when he won the most number of votes but still did not become president. In 2000, Gore received 50,996,582 votes compared with 50,456,062 for George W. Bush—an advantage of 540,520 votes. Put simply, Mrs. Clinton performed well relative to Barack Obama in states that didn’t matter for the Electoral College because they were states she could count on winning easily or losing badly. In two prime examples, Mrs. Clinton ran up the score in California, which hasn’t voted for a Republican since 1988, and outperformed Mr. Obama in Texas, which last voted for a Democrat in 1976. Meanwhile, Mr. Trump eked out victories in Florida, Michigan, Pennsylvania and Wisconsin, and won solidly in Iowa and Ohio. All those states voted twice for Mr. Obama.